In 1928, in the Paracas desert peninsula, on the south coast of Peru, Peruvian archaeologist, Julio Tello, made an amazing discovery of a massive and elaborate graveyard containing tombs filled with the remains of individuals with the largest elongated skulls found anywhere in the world. These have come to be known as the ‘Paracas skulls’. 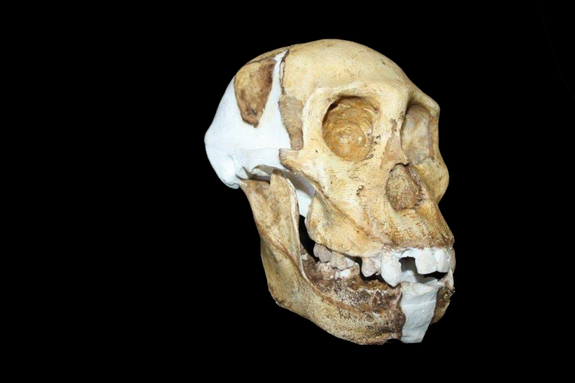 We’re dealing with nothing less than a newly-discovered species of hominid – this is breaking news! This article was written with contributions by April Holloway. Click HERE: http://www.megalithomania.co.uk/peru2013.html to join myself, along with David Hatcher Childress and Hugh Newman from ‘Ancient Aliens’ on a unique tour around Peru and Bolivia in October/November 2013 where we will be comparing Egyptian and Peruvian megalithic technology, plus visiting all the major sites, temples and museums, plus we will be seeing and examining about 50 of these enigmatic skulls. Click above for details.